So this all works fine. Now what am trying to do is to add a document linked to the related items column from a document library which needs to be included in the task. The Task is all about having users to read the document. 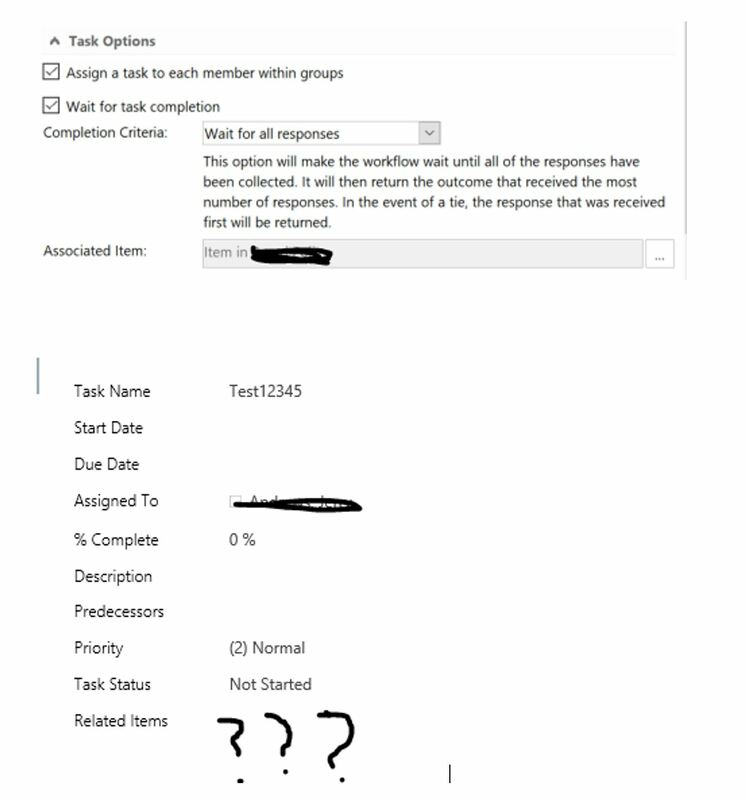 Related items in tasks list is the SharePoint OOTB column with "task" content type, which is a lookup from the same tasks list. In Sharepoint Designer workflow, you cannot send attachment through email. But you can send the link of the attachment in list. See my answer here. To achieve the solution, maybe you can add one lookup column from to tasks list and give lookup of the item from "Read" list. So that users can see the attachments attached to that item. Not the answer you're looking for? Browse other questions tagged sharepoint-online sharepoint-designer designer-workflow task-list or ask your own question.